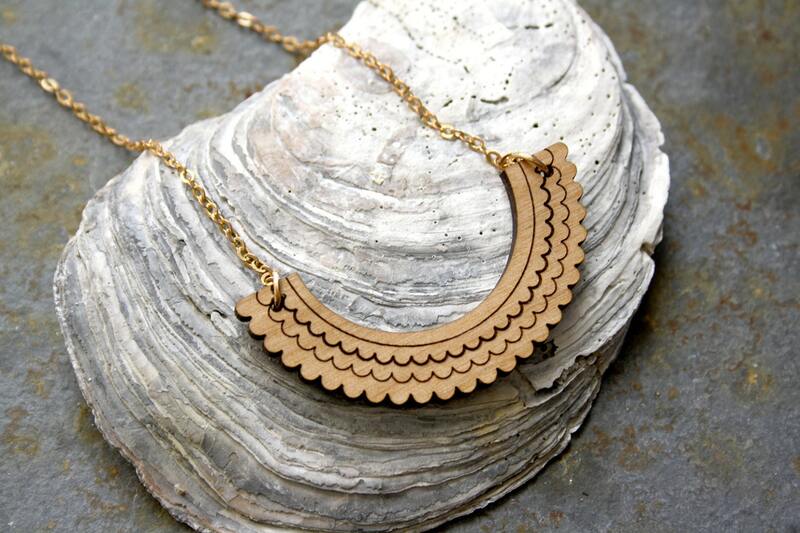 Wooden necklace, point lace pattern. Peter Pan collar inspiration. 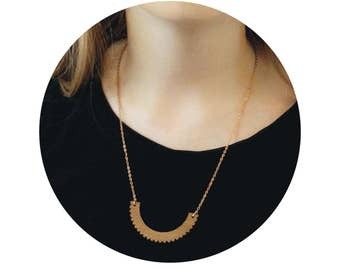 ▲▲▲ Wooden necklace collar laser cut and assembled by hand. Necklace made in France. Feminine style. Modern and minimal jewelry. Perfect for a unique and original gift for her. Metal chain, gold color: 21 cm each side (total = around 42 cm). Brass chain. Nickel free. Size of wood: 5,3 x 2,7 cm = 1.9 inches x 0.78 inches (around). ▲▲▲ Similar jewellery are available in my shop (geometric and graphic jewelry).